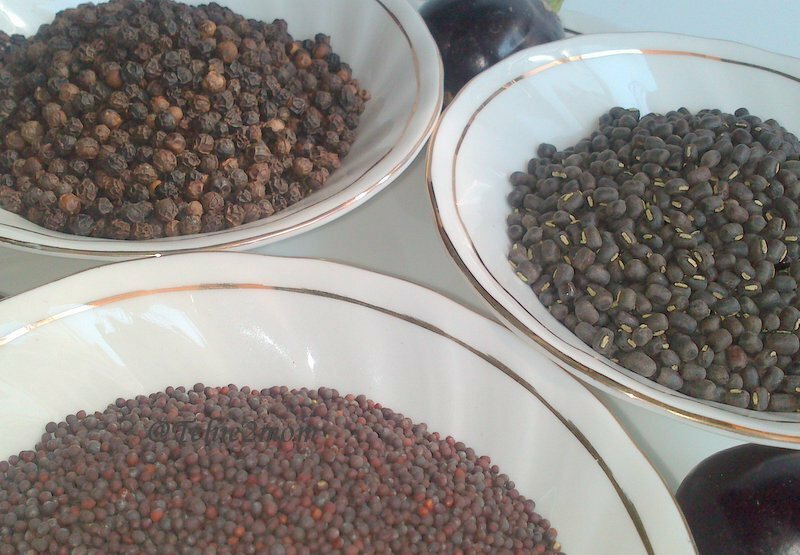 Something small, something round and something black – Black Pepper, black gram, a small brinjal, Mustard seeds !!! 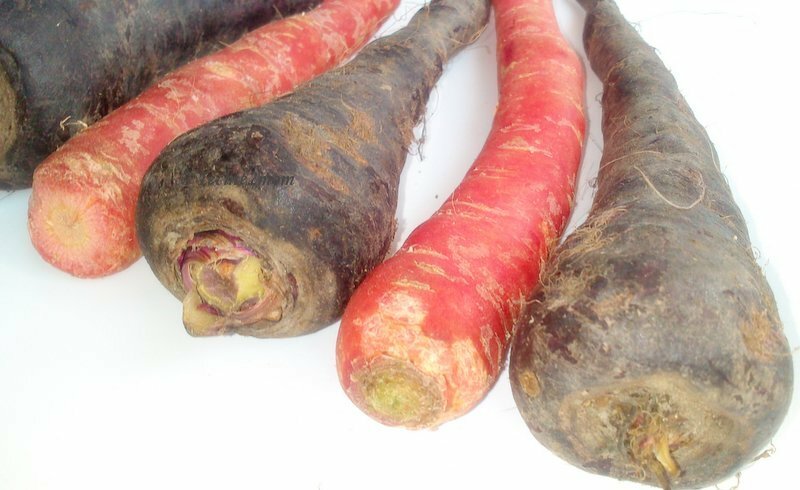 Carrots – Black, red, black, red, black!!! Never knew they even existed!!! On another note, unfortunately, I post only one pic per blog in the round up. I will take the carrot pic as I dont think not many pple know abt them. I love the first pic too! Yes, i too had never seen them till i saw them here! !